The hallmark of a quality volunteer car scheme is the principle that it is nothing more than organised form of car-sharing. 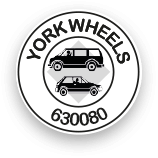 In this system a local pool of volunteer drivers is available to take people on pre-arranged journeys, coordinated by a central organisation, in this case York Wheels Ltd. The drivers use their own cars to make these journeys and their expenses are reimbursed. Bookings cannot be taken for journeys on the same day. Client contributions will not cover the scheme’s total running cost so support funding will be sort from all ethical and appropriate sources, currently City of York Council, donations from volunteers and fund raising. Where volunteer drivers are using their own cars to transport passengers and receiving reimbursement not exceeding the vehicles running costs then the operation will come under car sharing legislation. Section 19 permits (10B in Northern Ireland), operator and private hire licences are therefore not required. We are not a taxi service. Car schemes are the subject of a series of exemptions from all the licensing and operating regulations provided that drivers do not make a profit on any expenses they are paid (i.e. over and above the reasonable running costs of the car they use), the scheme and – more importantly – its volunteer drivers, need only comply with regulations applicable to private motorists. The requirements of the various Road Traffic Acts must be met and vehicles used in the scheme must be roadworthy, insured and taxed. 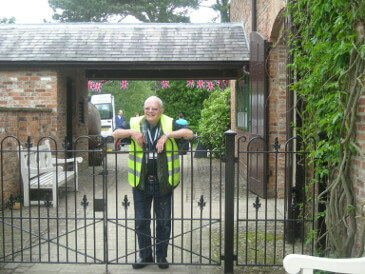 All our volunteers have a Disclosure and Bebarring Service check and a medical prior to starting with York Wheels. Sign up to our mailing list and keep up to date with any news from York Wheels. We offer regular trips out. If you have suggestions for new destinations, please let us know. We welcome your feedback.